Richard Schlesinger is a “48 Hours” correspondent. Here, he previews Saturday’s “48 Hours” investigation, “What Happened in Apt. 1601?” about the 2013 murder of law student Mark Waugh in a Silver Spring, Md. apartment. The episode airs Saturday, Match 25 at 9 p.m. ET/PT on CBS. Three successful 20-somethings at the end of a night of drinking end up in a tiny (really tiny -- like 500 square feet more or less) studio apartment. One of them ends up dead -- stabbed repeatedly in a grotesquely messy attack. There are only two possible suspects, and for a time, neither one of them can say for sure who did it. Sneak peek: What Happened in Apt. 1601? That’s obviously what caught our attention when we started to cover this story. The apartment was so bloody that a police officer described it as like a horror movie. 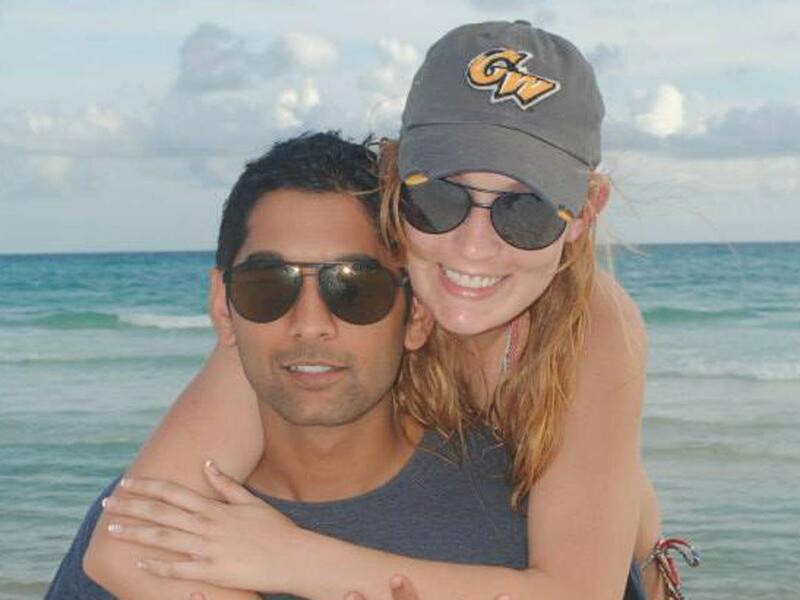 The two survivors -- Rahul Gupta and his girlfriend Taylor Gould, who lived in the home -- were taken in to police headquarters in the Maryland suburbs of Washington, D.C. and questioned. The detectives thought this would be an easy one. They were wrong. Both suspects said they didn’t remember what happened to their friend, law student Mark Waugh, which was the first thing that surprised the cops. How do you not remember a fight that was so violent in such a small space? Gupta had troubles of his own. He blurted out a confession to one of the first responders. He was so drunk at the time he was hard to understand. And he had smoked some pot. When he sobered up he said he did not kill his friend -- but he thought he knew who did. But what really stunned the police (and us) was when his girlfriend Gould said she didn’t think she did it -- but she couldn’t be sure. What’s more. she told the police she didn’t want her boyfriend to get charged with the murder if she was responsible. The more the police talked to these two suspects, the more difficult it was for them to figure out what really happened in that apartment. It shouldn’t be that hard. At least one of them had to be the killer, but which one? And why would he or she have done it? They were both friends with the victim. It was one of the most unusual interrogations we have ever seen. You will see the most important parts and how the words of one suspect convinced the police that they had finally solved this crime.